Singapore, 8 September 2014 – Transition Systems Philippines has been named WatchGuard Rookie of the Year 2014. 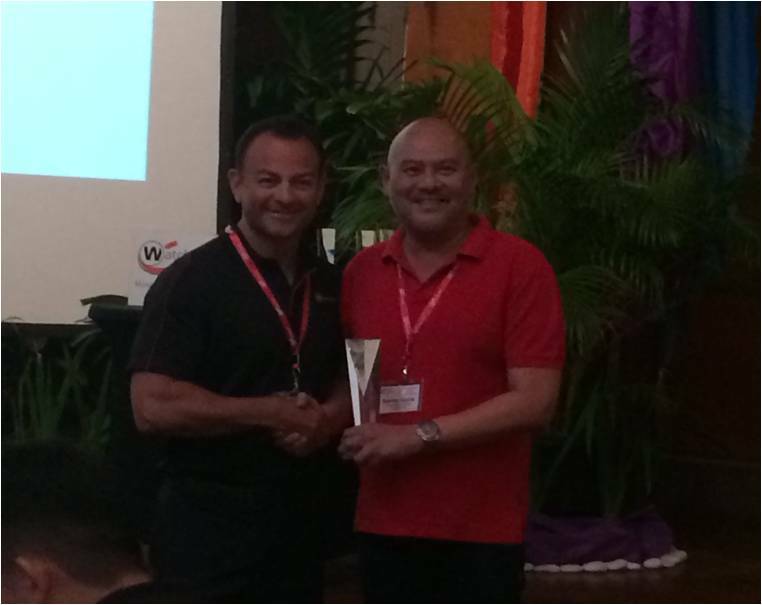 The award was presented at the 3-day WatchGuard South East Asia Partner Conference 2014 in Bali. Transition Systems Philippines was recognized for Top Growth in 2013, achieving an estimate of 50% Year-On-Year revenue growth. WatchGuard® Technologies, Inc. is a global leader of integrated, multi-function business security solutions that intelligently combine industry standard hardware, best-of-breed security features, and policy-based management tools. WatchGuard provides easy-to-use, but enterprise-powerful protection to hundreds of thousands of businesses worldwide. WatchGuard products are backed by WatchGuard LiveSecurity® Service, an innovative support program. WatchGuard is headquartered in Seattle, Wash. with offices throughout North America, Europe, Asia Pacific, and Latin America. To learn more, visit WatchGuard.com.